Do You Want Nematodes with Your Fries? Farmers in Oregon and Washington grow 12 billion pounds of potatoes every year. 90% of this production is for processing into potato chips and fries. 80-90% of the potato acres in Oregon and Washington are fumigated every year to reduce populations of nematodes which are microscopic parasitic worm-like animals that live in the soil and penetrate potatoes underground. Females feed just under the potato skin and deposit 200 to 1000 eggs. Brown spots become evident when the eggs are laid. Growers fumigate the soil to reduce the nematode populations because of the potential for rejection of the potatoes for processing into consumer products. “Columbia root-knot nematode (CRN) infects and develops in potato tubers but does not cause yield loss. Columbia root-knot nematode causes quality defects such as galling on the surface and small brown spots surrounding adult females when peeled. The external and internal defects render tubers unacceptable for fresh market sales and internal defects are unacceptable for processing. 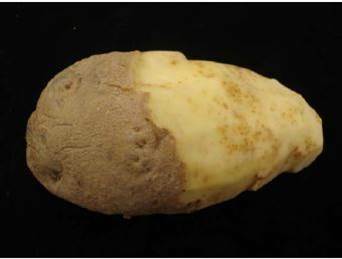 For processed potatoes, if between 5% and 15% of the tubers in a field have visual defects the whole-field crop can be substantially devalued or rejected. Based on USDA 2010 yields and prices, the average gross value of potatoes in Idaho was $6,921/ha. The rejection of a potato crop grown on an average 52.6-ha center-pivot-sprinkler-irrigated field represents a loss of $364,000. The potential for dire financial consequences from the presence of CRN in potato tubers is taken very seriously by producers. Authors: King, B. A., and J. P. Taberna, Jr. Source: Journal of Nematology. 2013. 45:202-213. Cyst nematodes are a huge potential threat to potato production in the US. Nematodes are microscopic unsegmented worms. Roots of infected plants contain minute, white bodies of females. When a female dies, its cuticle forms a protective cyst containing 200 to 500 eggs. Cysts containing viable eggs can persist in the soil for up to 20 years. When potatoes are planted, root exudates stimulate juvenile nematodes to emerge from eggs. The juveniles locate and enter potato roots. They cut through cell walls and feed. Infection with nematodes reduces root biomass, which can lead to stunting of plants, yellowing and wilting of foliage and small tubers. Heavy infestations often results in total crop loss. Potato cyst nematodes are widespread in many countries, but only two localized infestations have occurred in the US. The latest infestation, found in Idaho in 2006, has led to a strict treatment program with fumigants. “Two species of potato cyst nematode are found in the United States: Globodera pallida, the pale cyst nematode (PCN), was first found in Idaho in 2006, whereas the golden nematode, G. rostochiensis (GN), was first found in New York in 1941. Both species are regulated under a Federal Domestic Quarantine Order (USDA-APHIS) and parallel State Rules (Idaho State Dept. of Agriculture, New York State Dept. of Agriculture), and eradication effects are underway. While some resistance to PCN is present in potato varieties grown in Europe and elsewhere in the U.S., there is no resistance in most of Idaho’s signature russet varieties. Source: Potato Progress. September 16, 2013. Volume XIII, Number 10. “Owing to potentially devastating soilborne pests, strawberry growers have relied on soil fumigation treatments for many years. Director Brian Leahy of the California Department of Pesticide Regulation convened in April 2012 a working group of industry and scientific leaders to develop an action plan of research priorities for developing cost-effective management tools and practices for soilborne pests of strawberries in the absence of conventional fumigants. The Working Group recognized that over the last 20 years, many studies focused on breeding disease-resistant plants and testing soil treatments such as anaerobic soil disinfestation, biopesticides, biofumigants, soilless substrate, steam, and solarization. Yet to be done is testing combinations of alternatives in extensive field trials and on-farm demonstrations. Full implementation of the action plan will require a major commitment of time and resources by a broad range of groups in the private and public sectors, such as researchers, funding institutions, growers, grower organizations, farmworker advocates, community and environmental organizations, and consumers. Affiliations: EPA, Office of Pesticide Programs, Biological and Economic Analysis Division. 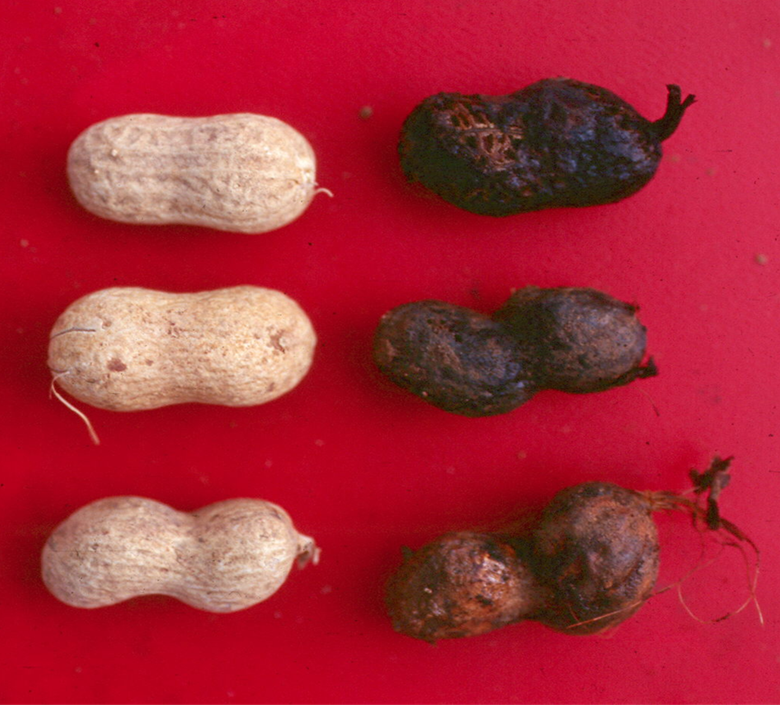 Title: Assessment of the Benefits of Soil Fumigation with Metam Sodium in Peanut Production. Roots of American ginseng are common ingredients in herbal medicines. However, being a root crop subjects ginseng to attacks by soil-dwelling organisms, which cause root rot of ginseng seedlings. 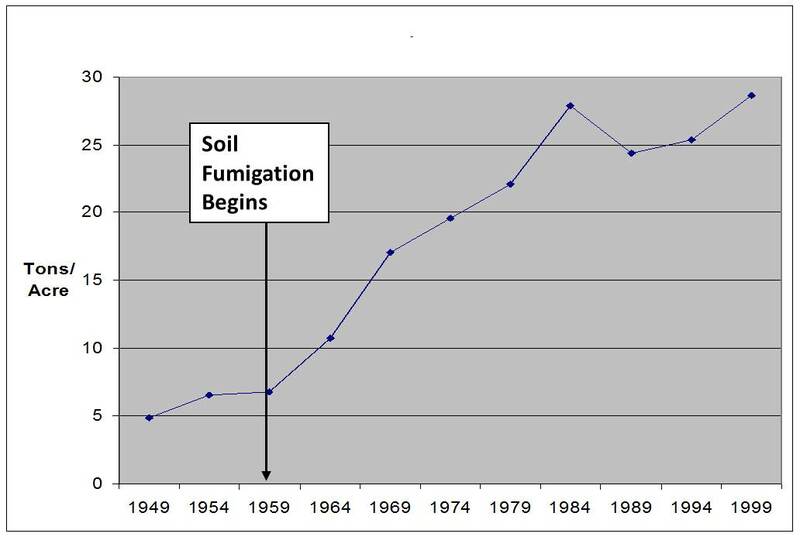 In order to prevent damage to the roots, growers typically fumigate fields before the ginseng crop is planted. Affiliation: ¹Agriculture and Agri-Food Canada, Ontario, Canada; ²Ontario Ministry of Agriculture, Ontario, Canada. Title: Mefenoxan sensitivity and the impact of fumigation on Pythium species and Phytophthora cactorum in ginseng soils. Publication: Canadian Journal of Plant Pathology. (2007) 29:427-436. Title: Effects of 1,3-dichloropropene as a methyl bromide alternative for management of nematode, soil-borne disease, and weed in ginger (Zingiber officinale) crops in China. Publication: Crop Protection (2012) 32:71-75.